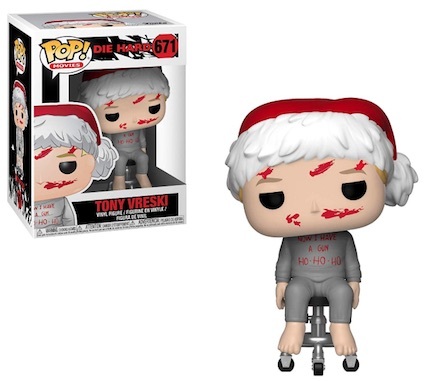 The unlikely Christmas movie shows its continued popularity with Funko Pop Die Hard. Join John McClane as he attempts to subdue the terrorists at Nakatomi Plaza. A beaten and bloody McClane, played by Bruce Willis, leads off the set. 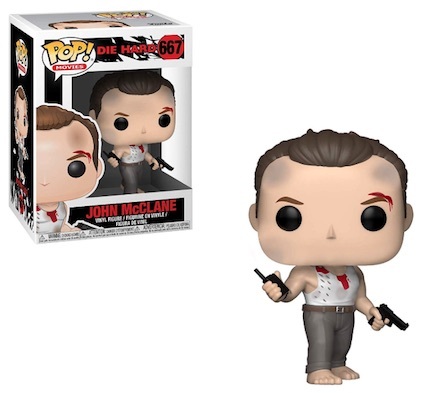 Barefoot while holding a gun and walkie-talkie, the vinyl look really taps into the character despite having no visible mouth. Adding to the good guys, Sgt. 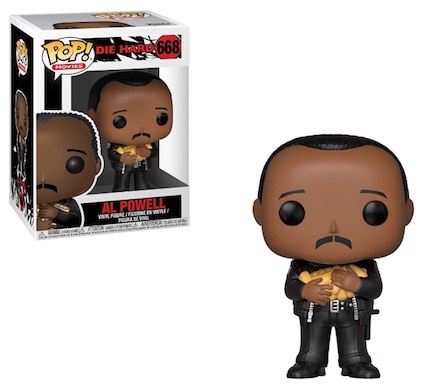 Al Powell is ready to help with an armful of Twinkies. 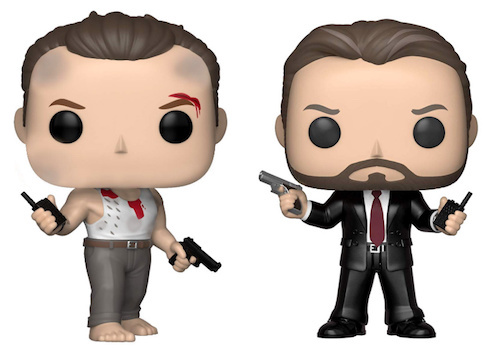 Shop Funko Die Hard Figures on Amazon. 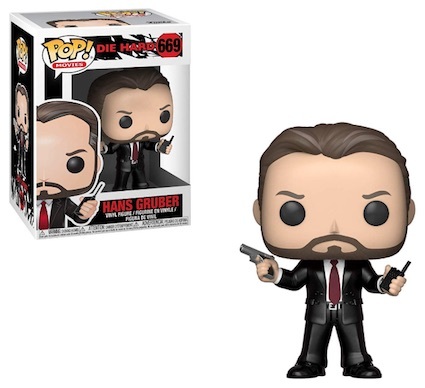 Funko Pop Die Hard also offers a few of the German terrorists, including the Hans Gruber (Alan Rickman). 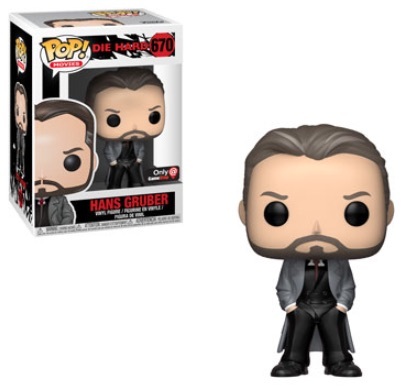 Gruber actually has two figures, with the main one matching McClane's gun and walkie-talkie combo. The GameStop exclusive adds a gray overcoat and removes the items from his hands, which reside in his pockets. In addition, there's Tony Vreski, one of Gruber's henchmen. He is shown after a run-in with McClane, dressed in a Santa hat as well as a sweatshirt that reads "Now I Have a Gun. Ho-Ho-Ho." The movie actually specifies "machine gun," but fans will likely recognize it, nevertheless.